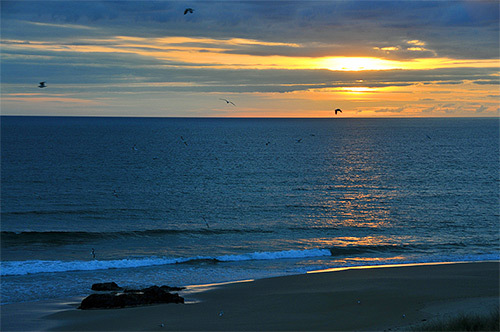 A few gulls swirling around in the air at the approaching sunset in Saligo Bay. A nice view at a day coming to an end. A quite calming view with the calm seas enjoyed that evening. That's all I've got for today. Good night and have a great weekend!